The ‘Great Outdoors’ does not exist in isolation, it is commanded and interconnected by paths, pylons, canals and trade. Infrastructure has created a visual language of interventions and icons that make the chaos of the unpredictable world defined and usable. Twenty five designers, developers, techies and geeks assembled at ‘Furious Tribe’s’ offices in Dublin, on Saturday morning August 31st 2012 to examine how we might use this city in 2042. Unfortunately, there were no crystal balls available so we would have to rely on our imaginations and psychological understanding of what people might need in the future. The scenario was set, Dublin in thirty years time where Wi-Fi is pervasive and data is open, freely generated and accessible by everyone. We were asked to design a service to help visitors to Dublin ‘become local’, to discover hidden gems and connect with the city over a short time in a meaningful way. 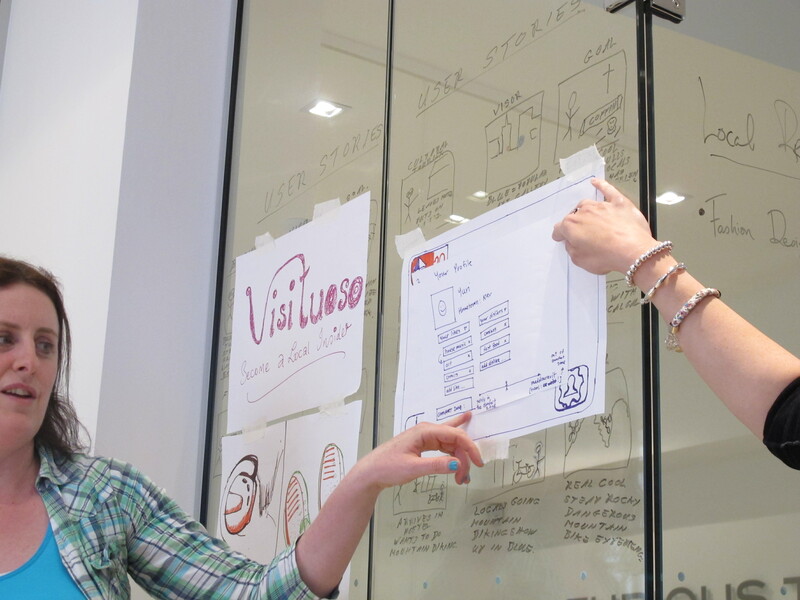 This was a user experience (UX) challenge, so it went without saying that we had to strive to make it useful, usable, intuitive, satisfying, accessible and maybe even enjoyable and delightful. You had to consider all the interaction mediums, including senses, sound, smell, touch and sight. 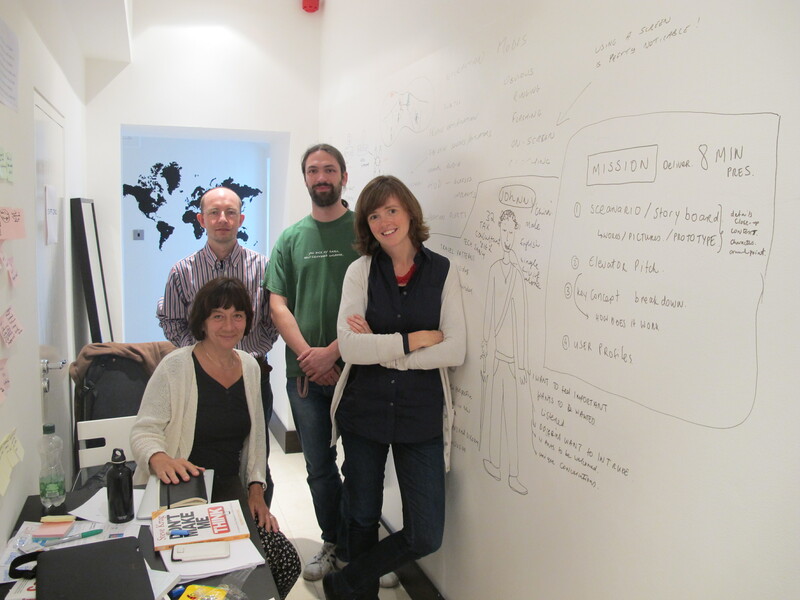 My team was made up of me, an Architect and Innovation Consultant, Mike McHugh a Developer with Zoo digital, Filip Szymczak a Web, UX and Graphic designer and Finally Gabriela Avram a Lecturer in Digital Media from University of Limerick. 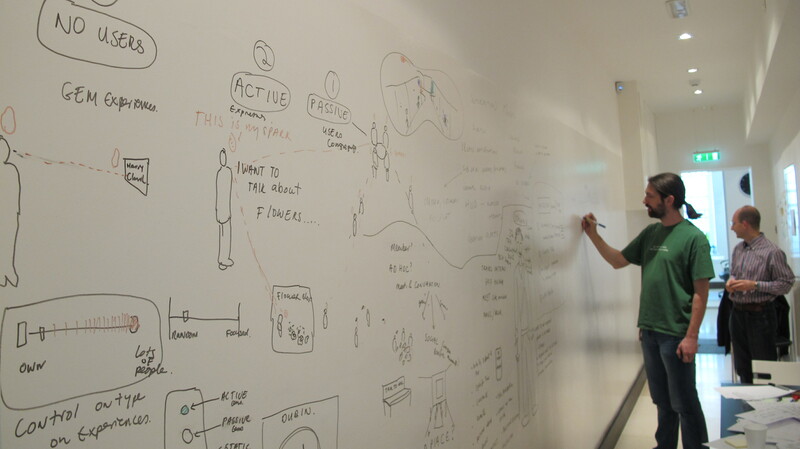 Our work space was a corridor that had been painted with whiteboard paint, so we could draw to our hearts content like children on the walls. We generally discussed the issues and the delights of traveling experiencing ‘Gems’. We tried to understand the essence of the problem and brief by articulating what a ‘local’ meant and what made Gems so special. 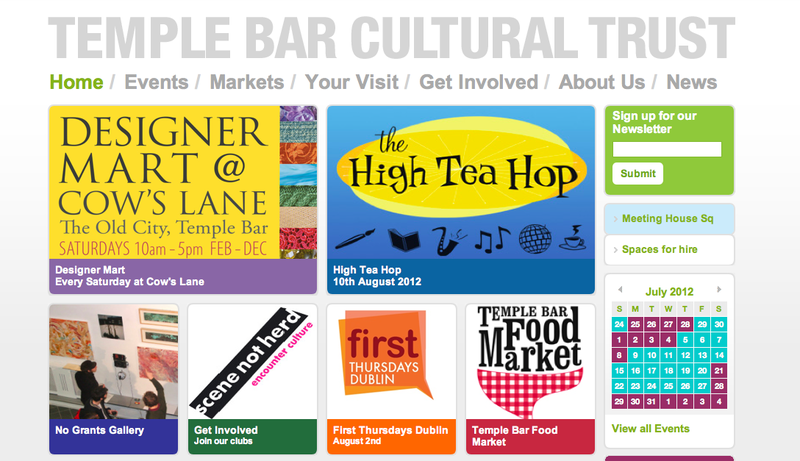 We tried to imagine what Dublin would be like thirty years from now, what would be historical? how would people be living their lives? still working in cities? Would society have become more singular with so much personalisation of technology and preferences? And what would be the backlash to these controlled experiences? ‘A discipline that uses the designer’s sensibilities and methods to match people’s needs with what is technologically feasible and what a viable business strategy can convert into customer value and market opportunity’. 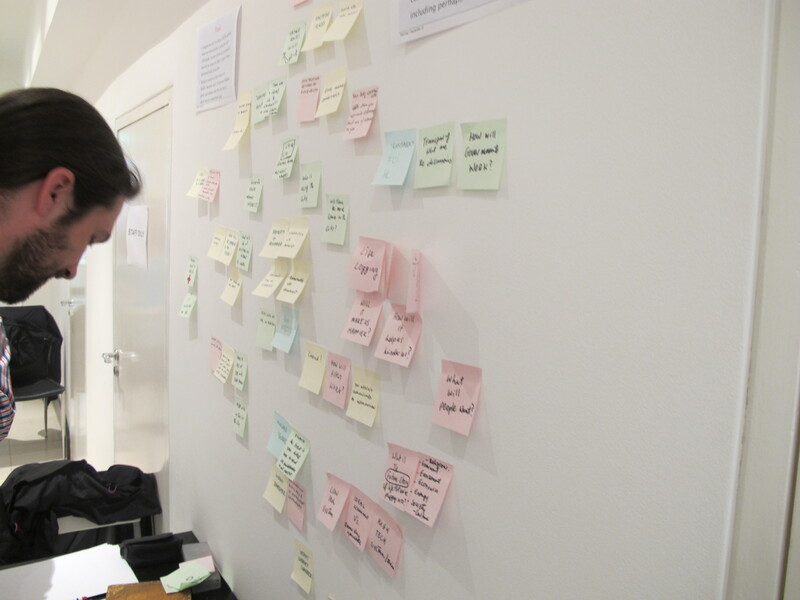 We brainstormed the problem with post-its, individually trying to articulate what the issues were. 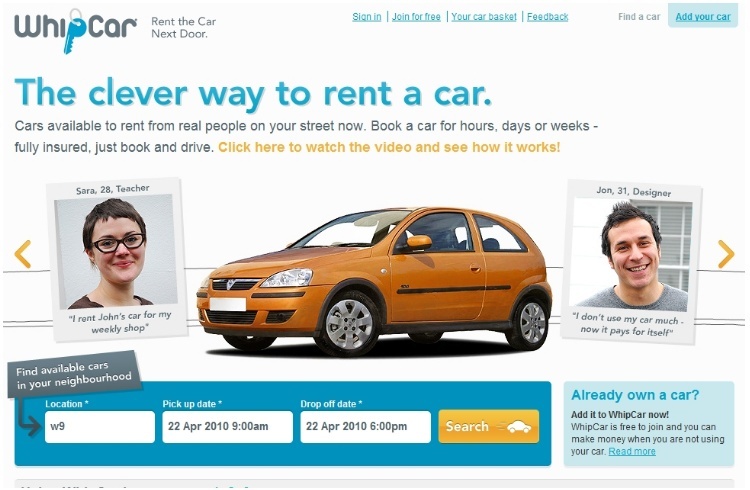 These ideas were then grouped into similar themes that varied from different themed routes in the city, instant translators, the high tech and low tech solutions, exploring the risk appetite of the user and could our service make people any happier. We then tried to draw insights from this and imagine a concept that would move this mystery down the knowledge funnel to something that we could begin to shape and sculpt. We felt that for a visitor to feel like a local in a short period of time, they had to have a meaningful conversation with the city. This type of intimate interaction got us thinking about social bon fires and the sparks that are catalysts for conversation. We drew an empathy map of user, ‘Johnny’ from China, who was thirty two years old, a tax consultant, single in Ireland on business and would like to have meaningful conversations. All the teams reconvened after two hours to share the direction in which they were heading. This was a good opportunity to get feedback and test out the validity of the ideas. I found it interesting that many teams choose similar approaches with a high expectation on technology to do the research and make the decisions for you. There is also a challenge with this premise for the future, when do we switch off the technology to make free decisions and craft out our own routes to create our own stories? because so often in life, you deserve to find ‘Gems’ as you’ve made the effort to search them out and that’s part of the reward for the effort. Team one started with the idea of creating a heat map of Dublin with their interests highlighted, their would also be locked areas with ‘Gems’ and a user would gain access only if they passed the test of matching the criteria to deserve to get in. They developed it further and called it Visituoso and imagined as a visitor was approaching Ireland on a plane, they would be able to watch a collection of videos through the airline Wi-Fi tailored around what he might be interested in. We would have a print out of an events book, with heat maps and to go places and their device would ‘chirp’ to announce there was a ‘Gem’ three minutes from their location. The user would then have to answer a question to gain access, and if answered incorrectly would tell you ‘this Gem is not for you’. The service is a sort of game and if the visitor can get twenty gems in total on his visit, they win the prize and can officially call themselves ‘a local’! – Many visits may be required to gain that status. Team two started with the Landmark of Spire which they called the ‘Jaunt’ point, which is the main meeting point for many nervous travellers. Their idea was that this inanimate object would dispense information about specific literary ‘Jaunts’ around the city. The user would receive a map with holes punched showing the location of their route, they would also be able to find out if there were other people on the literary route who fancied meeting up for chat about their shared interest. They also used the post card to share their route with friends at home as the humble piece of technology may illicit the same response as the polaroid camera does today. Team three set out with the aim to create a multi-sensory device that would access how you hear, taste and smell the city, and learn from you as you explore. A User would be given a map of Dublin red spots indicating their personal interests, blue dots with general interest items. As you experienced each place you would access how you liked it in terms of the noise, smell, taste and it’s aesthetics. If you had a bad experience the map would recalibrate and learn from this with it’s next suggestion, each venue would have its own personality. Team four started with the premise that they would have a stalker profile from Google, Facebook, LinkedIn or from whatever service will be available in the future. They demonstrated a novel prototype by having a video of someone leaving their hotel, wandering up the street and deciding where to go. 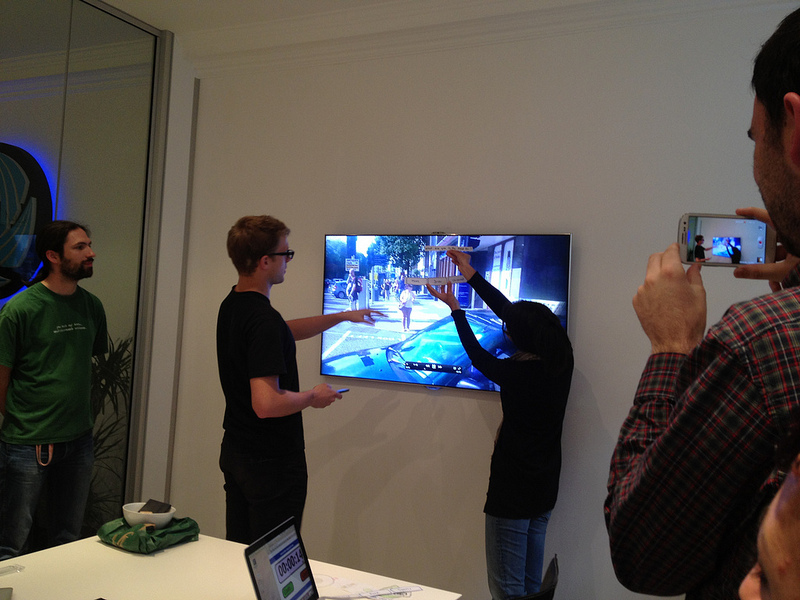 Their Google type glasses brought up options of ‘What do you feel like?’ – music, culture, sport, shopping etc. Using your hand to swipe music, you’re then told where a gig is happening, your played a sample of the music and you decide if that’s where you want to go, Google’s red arrows then lead you to the venue. 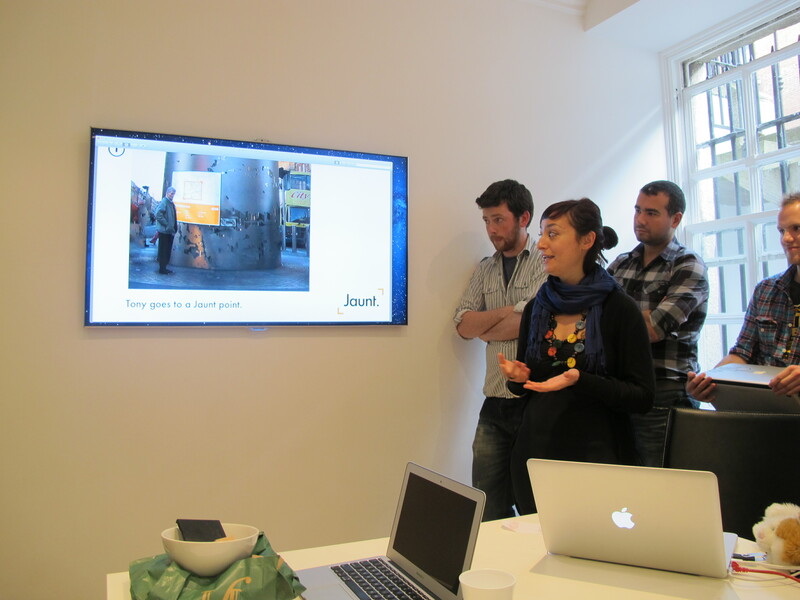 Our Team presented our Conversation with the City called ‘Sparks’. We wanted to plug into the randomness and serendipity that people love in life but also create a mechanism to start up those random conversations. Everyone would have a spark, you could opt in or out, depending on your mood. Your personal assistant would direct you to social bonfires where you would be welcome, you could also bring your spark to an individual who was open to conversation and tell some stories about the cities. We were interested in stories that stick and the movement of fire and sparks around the city. Stepping back from the benefits that these technologies could bring to us in the future, it will be interesting to see who is stalking us in thirty years time and tracking our movements? How will we behave? What will we value? And what will we idealise? After our flurry of ideas and imaginative wanderings, we disbanded to the nearest pub without an app in sight to access if we were happy with the choice. What’s extraordinary is that we have a built in code that helps us get along with relative strangers and start conversations by finding common ground and building on it from there. I wonder if a sophisticated database and service will transcend the need and desire for us to have these conversations and provide us with the same humour, changing expressions, clinking of glasses and pleasure of enjoying shared experiences… We will have to see. 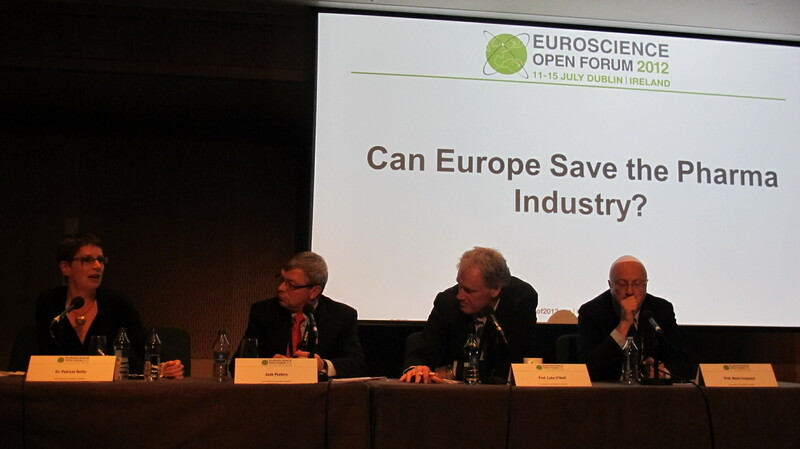 Talk 12 – 14.07.12 – Can Europe Save the Pharma Industry? Luke O’Neill (Academic Director of the Trinity Biomedical Sciences institute) opened this debate proposing the question, if the Pharma industry is broken and if it’s best to just manage its decline. He highlighted the job losses that are occurring in the industry across europe and the recent scandals from a drug companies. The model of IP protection has failed, with the proliferation of generic drugs. Developing and discovering new drugs is a high risk strategy, with the cost of $2 billion to bring a new product to market. Big pharma has started to outsource discovery part of the supply chain. There is a massive opportunity for academia to respond to this need, but will it be a partnership and will academia be able to meet the demands and pace of the fast moving industry. The testing phases can be highly irregular and if phase three of testing fails; the patients are wrong, as not everyone responds the same way. In these situations better patient profiling is required. 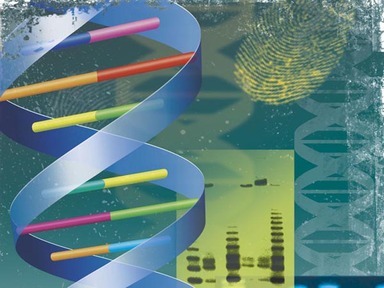 In this environment of personalised diagnostics, every disease will be an orphan disease. But diagnostics and therapeutics combination is currently really expensive and the chance of misinterpretation is quite high. Biology is next grand challenge for science, there is a general human template to analyze with massive variation. Due to improved medication, Aids is no longer a deadly disease but a chronic one, if the medication is readily available. I wondered if there is motivation to develop preventative vaccines, as the long-term use of drugs makes will create more revenue than a once off vaccine? It was questioned from the audience if R&D of Pharma companies are focusing on providing solutions beyond drugs that relate to well being and health of patients. I believe there will always be a resistance to alternative therapies, as the business model does not favor watering down the dependencies that are created. Can europe save Big Pharma? is it their duty too? is this a natural transition and would any intervention create an artificial stabilizing on an industry that can no longer grow at its previous rates. Talk 13 – 14.07.12 What does Art bring to Science? This event was organised Michael John Gorman of the Science Gallery, Dublin. Creativity brings provocation, dialogue and critique; artists pose questions, like – What if? 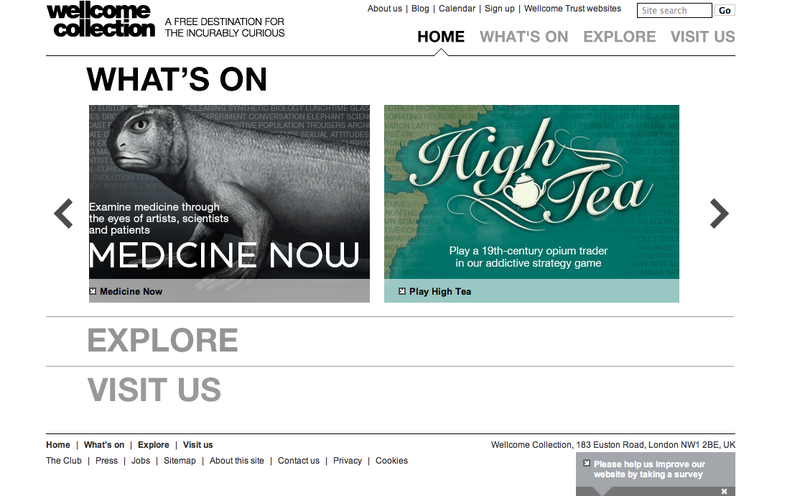 The Science Gallery have run a number of exhibitions since their inception that bring together the intrigue of art and the pursuit of knowledge that drives science. Some of these have been, Victimless leader, What If?, Infectios, Happy?, They explore immediate themes that bring these questions closer to people’s lives. Michael John Gorman noted that the term scientist is a nineteenth century invention, scientists used to be amateurs and do it for the love of it. The world is creating new roles in society that are neither art nor science, so how will our education system adapt to this demand? Clare Matterson spoke from the ‘Welcome Collection London’, their role is to fund art science collaborations. Many are playful, creating games to understand international trading to provoke intrigue in the fourteen year old plus bracket. 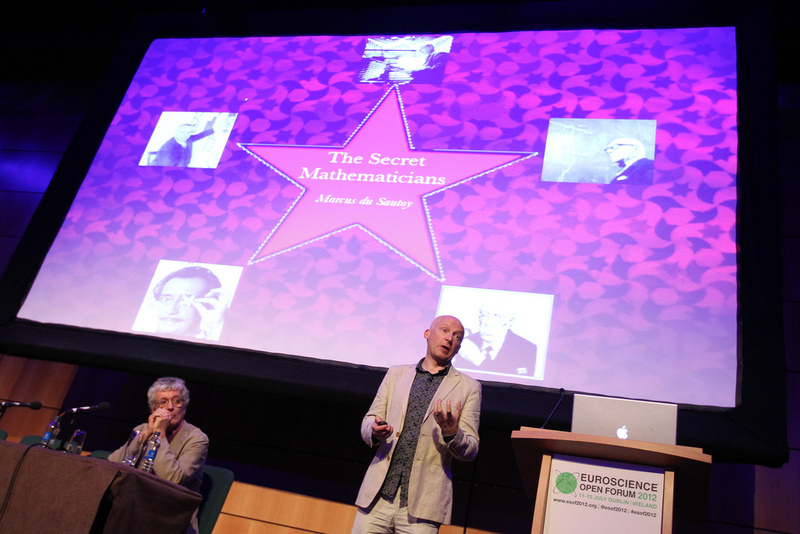 It was questioned if there is a greater benefit to arts than science in these collaborations? Clare insisted that it’s not about dumbing down Science, it’s about leading us into exiting new places of understanding. Art working with science can accelerate challenge and curiosity driven enquires by asking the awkward questions of What If and Why Not? Rolf-Dieter Heuter is the Director General of CERN who was recently involved in discovering what is probably the ‘Higgs Boson’, the smallest particles that are known to man. In 1989, CERN unintentionally invented the World Wide Web for researchers to share information more easily with one another. The Hadron Collider is the largest instrument ever built, creating temperatures that are hotter than the centre of the sun, and the coldest place on earth to replicate the conditions at the first moment of the big bang. The Higgs Particle is a self-interacting particle, the collider has helped them identify this property by analyzing matter behavior and anti-matter behavior. They hope that this discovering will understand what 96% of the universe is made off. The applications of this research are not yet understood. They first had to claim to see old stuff before recognizing new stuff and this was like ‘identifying snowflakes in a big snowfall in front of a snowfield’. Cern have employed Artists in residence at the research facility and they reckon that they will be “Inspired for ten years at least.” One thing is certain that our understanding of the universe is about to change. 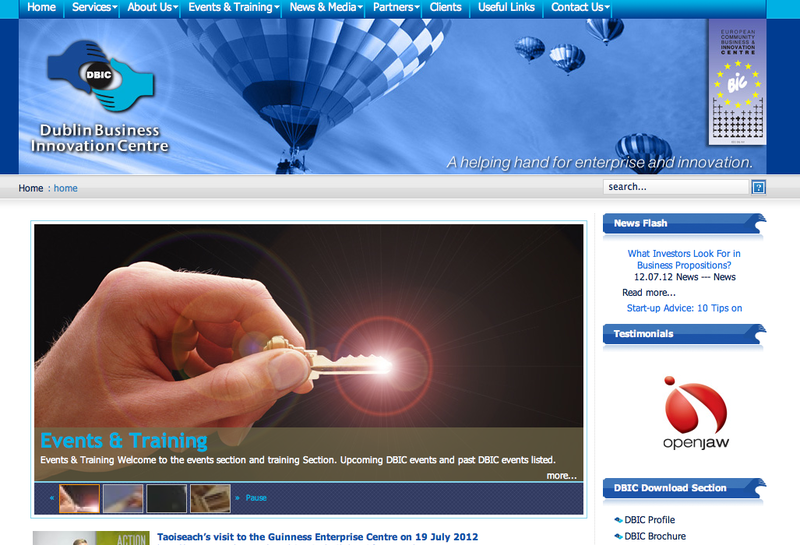 Talk 15 – 14.07.12 – What do investors look for in Business Propositions? This talk was organised by John Phelan of the Dublin Business Innovation Centre, the purpose of it was to bring entrepreneurs in contact with investors to give them an opportunity to make a pitch and gain some insights in what they might look for in an investment. I attended this conference as I thought I might be in a position to make a pitch in the future and I wanted to understand how it could be done. Deal structure, who else is involved. 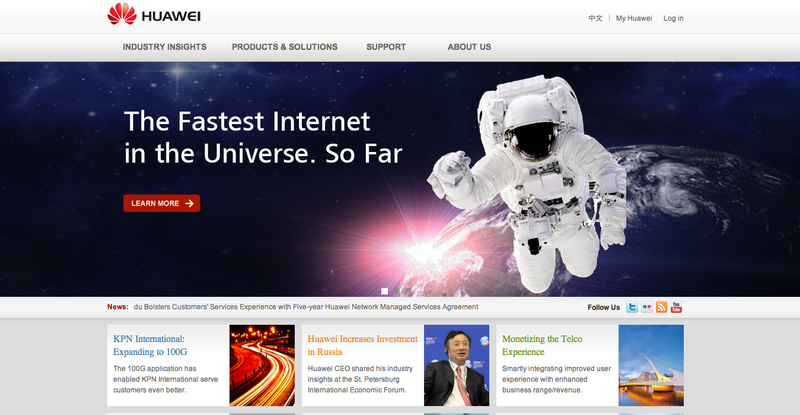 The team was considered very important, as they don’t change but the business model can be modified. She will then identify the problem they are trying to solve and how are they solving this problem. Is it project financing or equity? What is the life cycle till it runs on it’s own. Relationships were considered very important, ‘we need to be able to work together and understand the different vision of the investors’. Thierry Baujard of Pan Europena investment network put his criteria as, ‘What is the IP creation? and what will be the exit strategy?’. 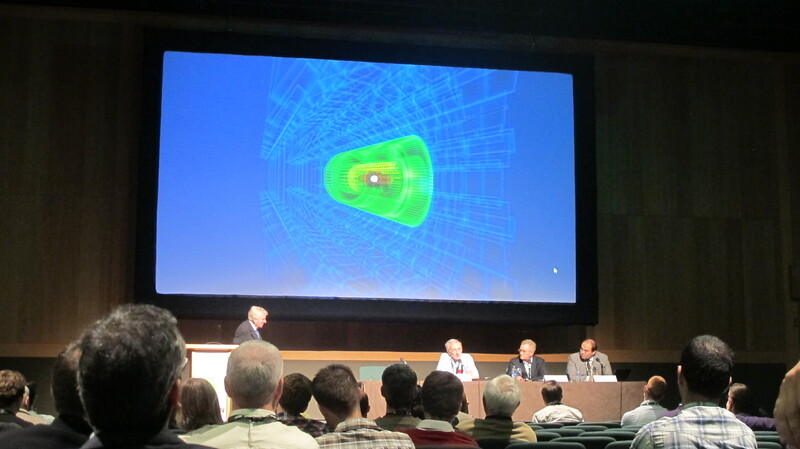 At the outset of the talk, the chairman of Dublin innovation centre introduced the esteemed panel the presenters. He then made a request to the audience to see if there was a women entrepreneur who would be willing to make an elevator pitch to panel. My heart fluttered wondering should I take the leap, but I never thought I would be able to do it. Some men’s hands went up, but the Chairman said that they prefer to have a women. With a nod of encouragement from my Fiancé, I volunteered, to applause and encouragement from the audience for my bravery at stepping up to the mark. The fact that I’m looking for work and opportunities made me bite the bullet without realising and considering what might go wrong. 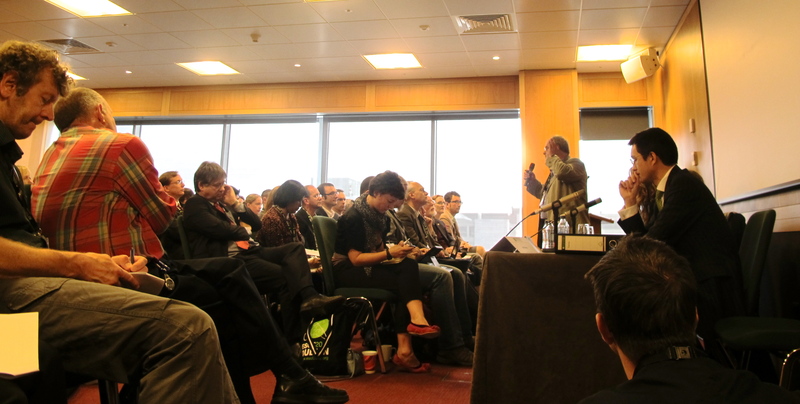 I took the microphone, introduced myself to eighty delegates and told them what I would talk about. 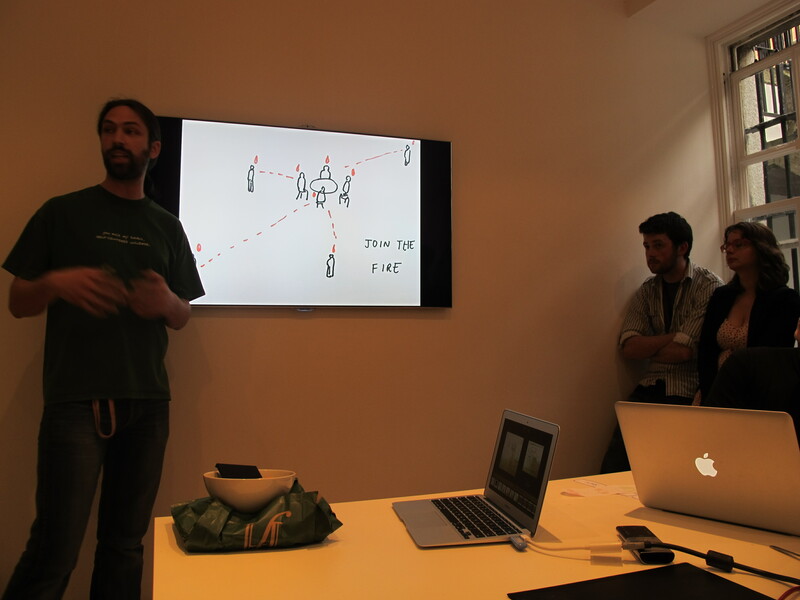 My turn was last, so I had forty-five minutes to think and jot a few notes down before I would do my pitch. Unfortunately, my mind was so busy constructing what I would say, I barely took in what the other entrepreneurs were pitching. Within ten minutes I had jotted down all the points I wanted to talk about and felt confident that I could get across my idea. Without a chance to worry, my time came to take the floor, without visual cues or a prepared script. I gave the audience and the investors an overview of the team, the problem and business opportunity, how it worked, the business model, what was required for next stage, and what difference it would make to have it. The presentation flowed, sometimes in those moments of pressure, the words come, but this cannot be always guaranteed if no preparation is done. It was great to get feedback from the investors and questions from the audience, who made great points that could be incorporated into the product. The risk of opening up an idea at an early stage of development is that someone might ‘steal’ it. But there is also so much to be gained form sharing and building on those ideas. 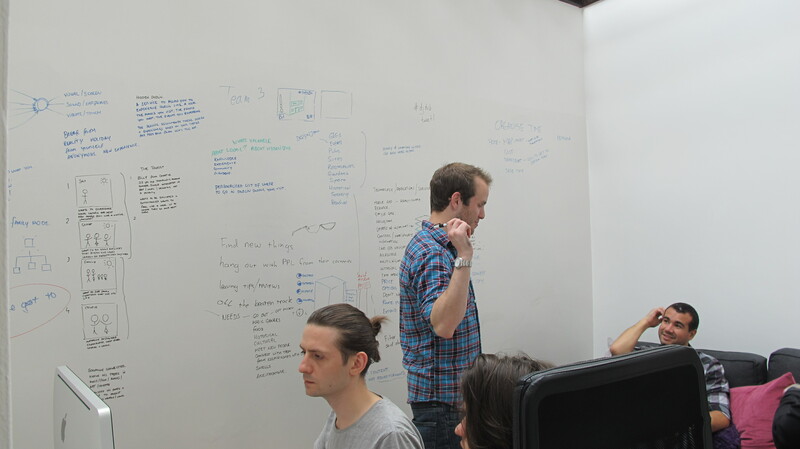 Sometimes, working on your own in a small team of two can be quite isolating. Bringing the ideas out into the public, tests their validity and the receptivity to them. I’m glad I got up and spoke, but that was the easy bit! The challenge now is to bring the disparate information together to make a workable prototype that can tested and improved upon. Sometimes you get luck at the beginning of a hard journey to encourage you to continue on the challenging path. Innovation was noted as the instrument on entrepreneurship, so how do we create an environment conducive to this. There are several initiatives in the action plan for jobs in Ireland. One is science and technology research in universities and another is policy to improve the innovation capability of of firms. There are an increasing no. of PhD’s in Ireland ranking 8th in the world in citation impact, but is this a measure of innovation prosperity? Fourteen priority areas have been identified in the plan that focus on smart specialisation. This sounds extremely economic and lean, but can these policies lead to serendipitous discoveries? John Bell of the EU Commission spoke of us building the ship while we’re sailing it. This is an economic reformation that we are experiencing. The commission are examining the economy in a connected way using smart fiscal consolidation. Ideas to a country now are what oil has been before. 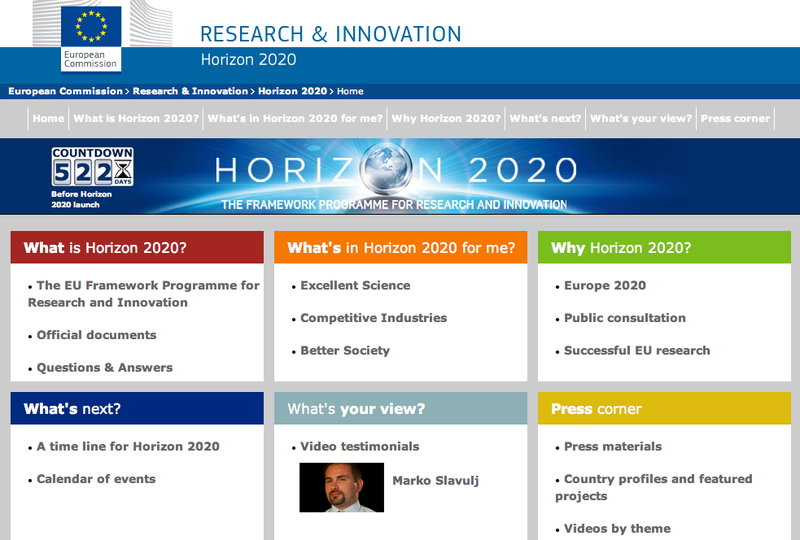 He spoke of Horizon 2020 and the funding that is been secured for this. They are in the process of investigating how we get financial instruments that will work. Systemic and structural reform is required within the smart specialisation strategy. Ken spoke of the history of innovation policy in Ireland, a country review was done of Ireland in 1966 and multiple more over the years with each giving the same message of an economy being under pressure in key areas, with very little impact with each ensuing report. 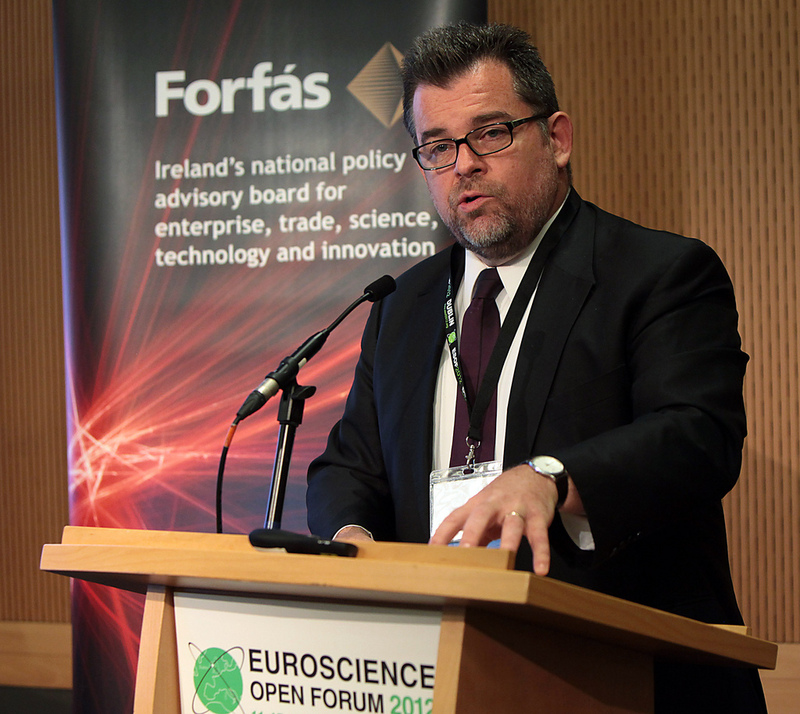 Focus changed ten to twelve years ago with the setting up of Science Foundation Ireland with the help of a philanthropist. Implementation of the fourteen specialist areas concerned him and if they can translate to economic benefits and societal challenges. There needs to one driver – excellence. In the past international competitiveness has created this urgency – ‘The Russians are coming’ or more recently the ‘The Chinese are coming.’ He noted that it’s much easier to operate in plenary systems rather than resolving societal challenges. Getting the criteria right to select the specialisations is the challenge and often time commitment to these strategies falters in times of crisis. A question from the floor queried if we they were designing failure into the system as they were still going to use the same academia to implement this, but there has also been a failure on the private sector to restart the economy rather than serving itself. Yet the world isn’t either/or, its imperative to align the organisation objective with the government objectives. 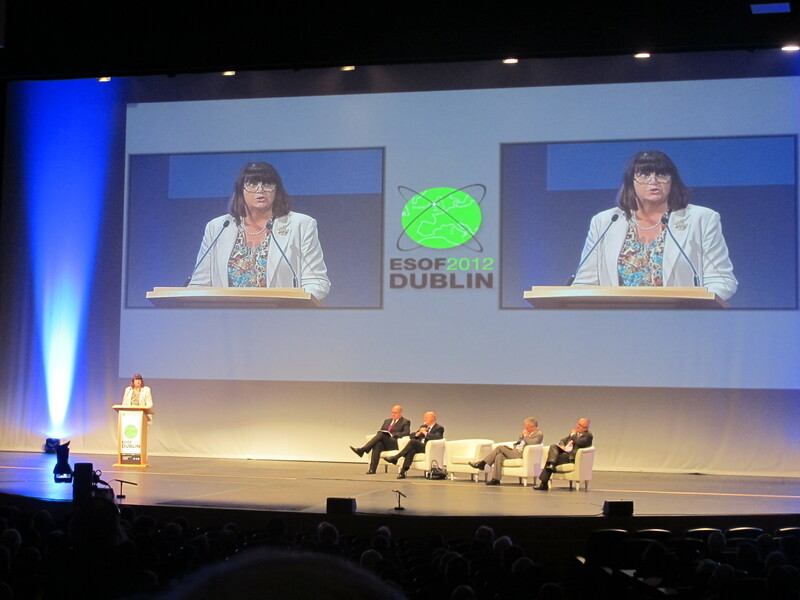 Máire Geoghann-Quinn opened this debate by underlining the value of the scientific method and that intellectual inquiry was a worthwhile pursuit in itself. The desire to understand the universe is resonant and universal. Curiosity driven research can bring break-through results not anticipated originally. It is battle to keep science at a central part of society and she envisages Europe as a single market of idea’s. Knowing when nations should compete and collaborate will be the challenge. 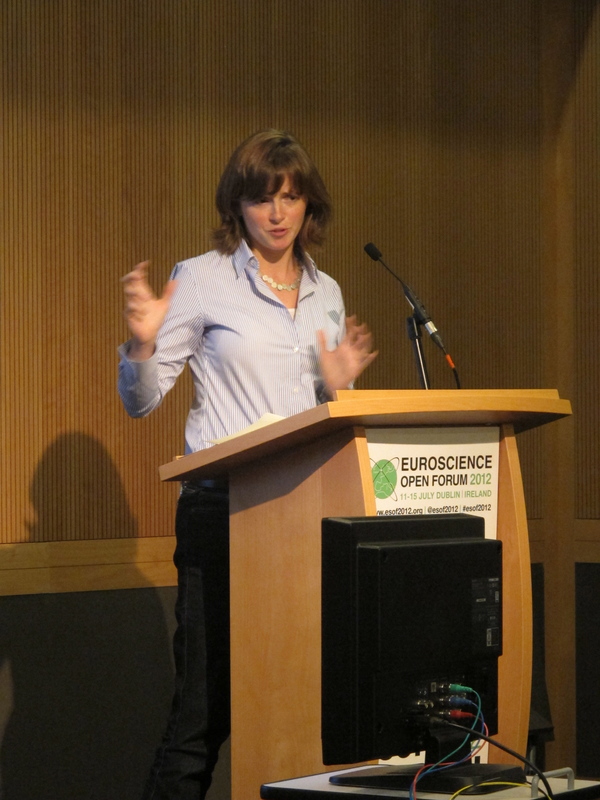 Europe is at the heart of the of world science, she made a call of action to put science at the heart of Europe. This decade will be seen as a cardinal point in European History. 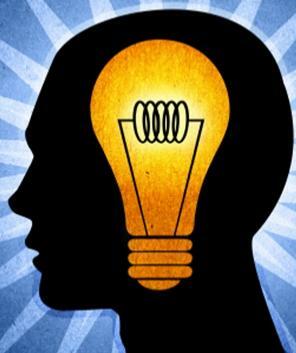 Ideas are the only resource that cannot be depleted. The issue of collaboration was opened to the floor, with the main issues raised were those of trust. Faraday’s response to Gladstone were he cited as an application of discovers, ‘Electricity is worthwhile because one day you will be able to tax it. The interest in science and innovation is seen as a safer bet in a world of depleting resources and energy security. With so many people in charge, there is a vested interest that science will deliver eventually if enough is invested in it. Yet the scientist is expected not to be interested in any financial gain, only the pursuit of the truth and deeper understanding of the world. Surely in this environment, human weakness will create applications that do not benefit society. Investment in excellence is the key, but having the right people to access that excellence is even more important. Amazingly this ‘Hot Science’ talk was located in one of the smallest venues but had full capacity with people sitting on the floor, including myself. Delegates from across Europe were represented from a mix of industries and different mindsets on this controversial energy source.The overall message was that the risks were very low if installed correctly with careful continuous monitoring. 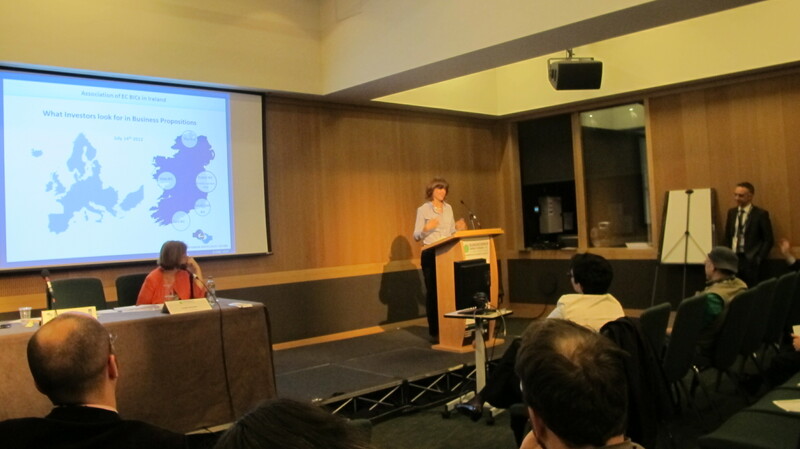 Prof Zoe Shipton, from the University of Strathclyde presented her findings and analysis of the technology. Ivan Pearson, a scientific officer in the European Commission, noted that Shale gas an option in the future with concerns over energy security. Currently, 40% of electricity generated in UK comes from gas. Shortages of gas from Libya to Italy were highlighted as an example of energy uncertainty. As Shale gas exploration is more developed in the US, their costs of fuel is as cheap as the Middle East. CO2 levels have also fallen to ’91 levels because of it’s use there. 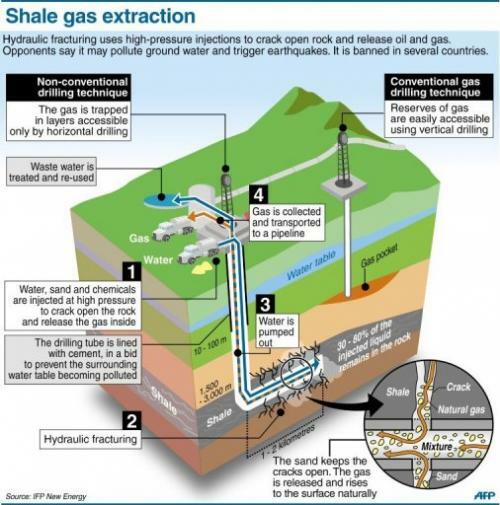 Analysis of the contexts was noted as extremely important to access if there is any seismic activity, as the fracking process has the potential of activating any underlying faults. Although it is a more complex and scientific process than the traditional mining of gas or oil, many of the environmental impact assessments are similar. For more information of this, the economist has produced a very good special report in it’s July issue. 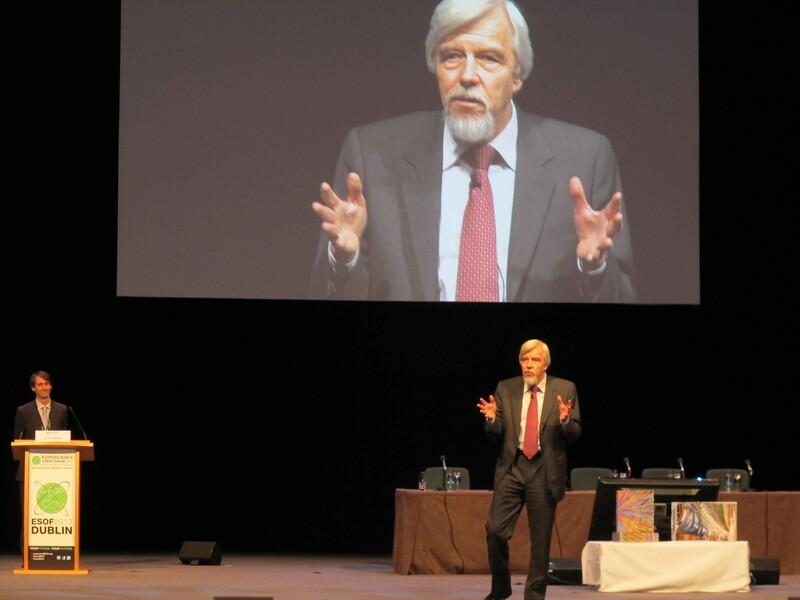 Brian Green entertained his captive audience explaining ‘String Theory’ that has the ambition of being the theory of everything and a follow up to the unanswered questions in Einsteins relativity and quantum mechanics. It’s aim is to explain the universe as a mathematical construct. 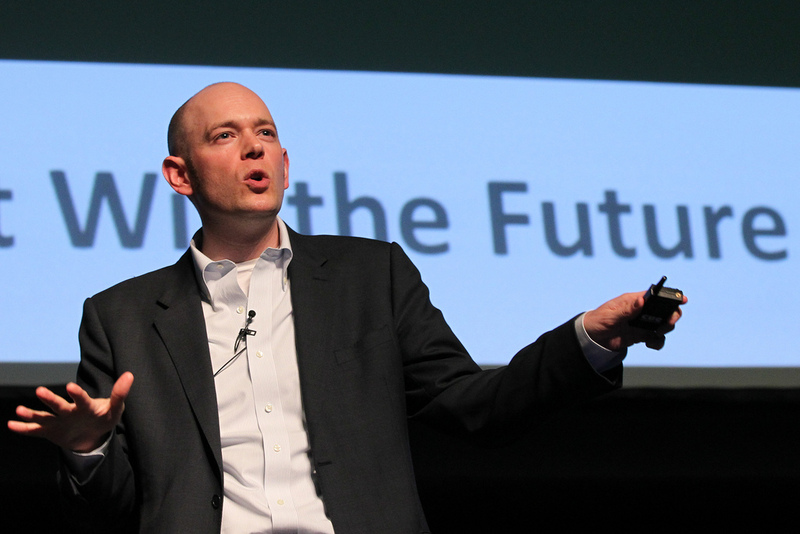 Brian David Johnson works as a Futurist with Intel, his role to predict and envisage how we might be living and working by 2020. They envisage that the computer will move to zero, where it will be seamlessly incorporated into our lives. What we build in the future will be limited by the constraints of our imagination. But personal touches of intimate photos and coziness will be the slowest to change. Brian David Johnson cited many examples of our interaction with robots throughout time and the magical qualities and revery that they have brought with them. From Shelly’s Frankenstein in 1816 where the morality of creating life was examined, to a Japanese Geisa robot that perfectly serves tea. Some of the greatest concerns with interacting with robots come from if they look human like, remember the apocalypse in the movie ‘The Terminator’. Robots are closer and more incideous then we realise. The new personal assistant called Suri on the iPhone will try and assist you in every why possible with comical prerecorded responses to questions like “I Love you Suri”, he’ll say “I bet you say that to all you apple products or let’s just be friends”, My twelve year old cousin even discovered that Suri will read you a story if you ask him nicely. The greatest challenge will be for robots to communicate with robots, as amusingly illustrated in the video below of Suri trying to talk to the robot Furby. I always enjoy listening to Mary Robinson, her wisdom is inspiring and compelling and on this occasion, it was no different. As an advocate of Climate Justice and member of the ‘Elders’, she made a call to action to scientist, to focus research and applications on ethical problem solving. She expressed her recent frustration at the Rio de Janeiro climate conference where no definite agreement or commitments were made. She urged that common and differentiated policies were required to drive it forward. In analyzing the roles of the developed and developing nations to make commitments, she saw developed countries more responsible historically for putting the greenhouse gases in the air, so the main responsibility lies with them, as they have more resources to invest in the challenges of over coming it. She urged for effective policies that were informed by science and our finite resources. In 2050, her grandchildren will be forty-two, emphasizing that these cardinal points of change are closer then we think. She suggested that policy world required a high-level representative or ombudsman to access the effectiveness of scientific policy. 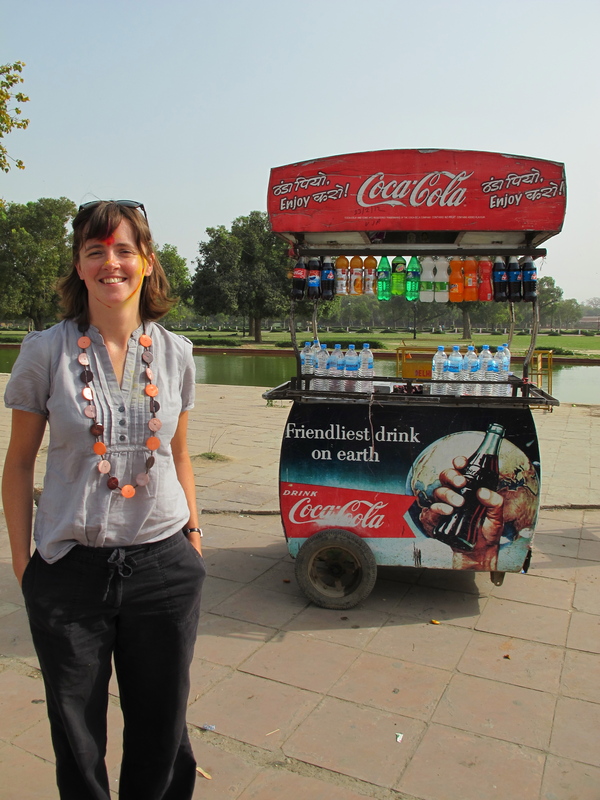 As part of her Climate Justice Trust, one of her projects involves giving women’s leadership in nutrition and the inclusion of a global footprint on all packaging. Talk 2 – 12.07.12 – Digital Innovation and Entrepreneurship: What Next? Neil Leyden kicked this session off after a failed Skype connection to Kieran O’Hea in Brisbane (The former Digital officer to the government) and original organiser of this talk. After watching this failed effort at communication, I realised the importance of real-time communication, the basis of what the Silicon Valley is built upon. Neil described his purpose as an an entrepreneur as someone who goes against the grain, undertaking a journey of self-realisation. He highlighted the importance of the kick-starter programme and the opportunity for a kid in San Diego to launch his penny arcade. He stated that the US had market led innovation, while the EU had a quasi-socialist approach, which consists of governments, stakeholders, consultants leading to mediocrity. He thought their role was to mitigate risk and failures, allowing mediocrity come to the fore. He doesn’t believe in failure of entrepreneurs, just honest feedback. He challenged the deficiencies of the current education system built around the industrial model. Which is geared towards certain subjects with less focus on interdisciplinary groups. He noted that Japan has had success with the industrial model, but cannot innovate fast enough now. Surprising facts were that the average age of a NASA engineers was twenty-seven. He underlined that the focus on children to become doctors, lawyers and barristers does not create an economy; they merely serve it, these professions do not create businesses and jobs that create an economy. Gráinne highlighted some interesting statistics stating that 2.6% of Europe’s GDP came from the cultural sector, larger than the food and beverage and created five million jobs. Eighty thousand are employed in the cultural and creative industries in Ireland. In temple bar she spoke of using culture as a catalyst, the role of the digital hub to incubate business and the initiative in Merrion Square to create an innovation cluster. 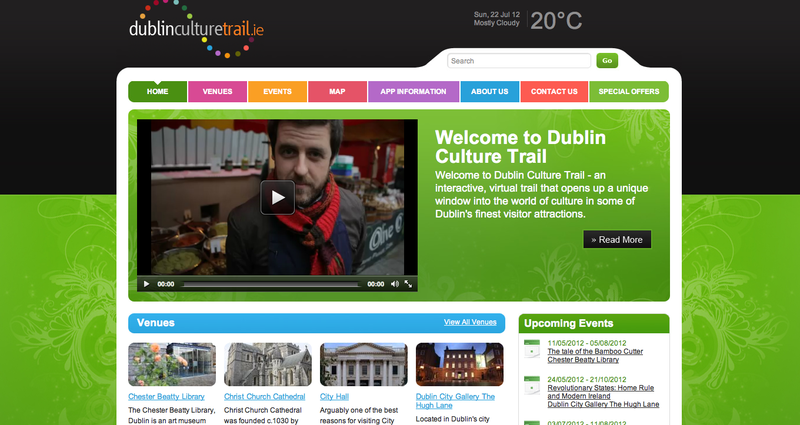 She highlighted a project the Dublin Cultural trail which gave a tour of sixteen cultural venues in the cities, also highlighting the challenges of tourism with very few repeat visits to Dublin. She noted that there needed to be a single voice in the creative and cultural industries and integration of these industries in applying for EU funding programmes. Vinny is the E-Commerce manager of Arnotts, 300,000 sq. ft. store with a million products located in the centre of Dublin. There is a backlog of tradition spanning 169 years, yet online selling does not require reinvention of the wheel. The e-commerce business represents only 1% of the company’s turnover. He outlined the challenges of measuring clean data. But does this help the customer find what they’re looking for? I had the experience recently in Arnotts looking for an accessory, instead of these items been grouped together for the convenience of the customer, I had to search through each of the outlets with the assistants only able to help me with their particular ‘concession’. I wondered would it help the ‘sales assistant’s she had a hand held device with the location of the stock in the store. This would give them the ability to point the real time customer in the right direction. Instead of the company focusing on how many search terms they should buy from Google so that their merchandise comes to the top of the searches, enhancing the existing customer’s experience would seem like a better base to build from, but using the tools that data mining and e-commerce provides. In conclusion, it was thought that the word ‘Digital’ might be the problem, rather than focusing on the issues of creating good strategies for communication. 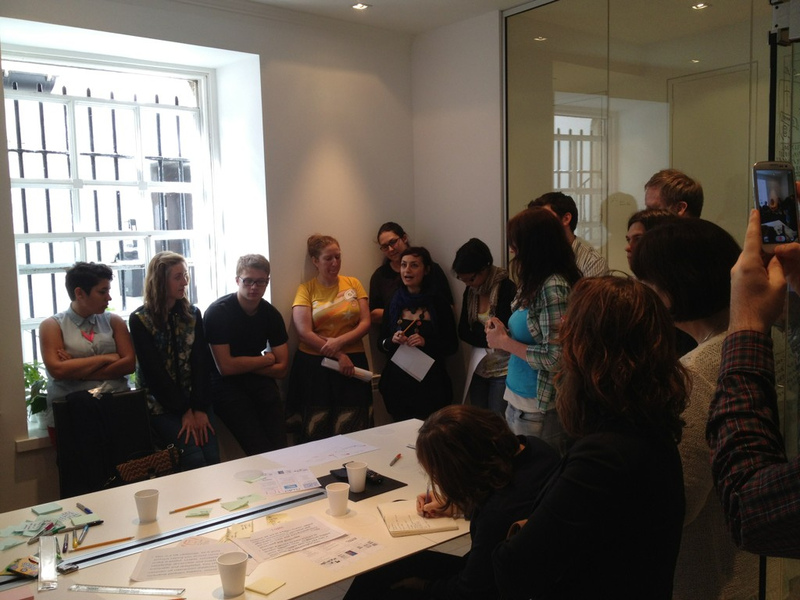 At the moment there are too many agencies representing the same ideas and concepts of working with Digital. Human behaviour hasn’t changed and this is what we should be focusing on rather than sticking to digital for digital sake. If we forgot about the word, we might be able to get on with the service. Food has become an intellectual exercise with different parts of the brain been activated by different flavours. In the future of cuisine, food has become the main ingredient in the laboratory used to explain scientific principles, with the Head Chef becoming the Head Scientist. 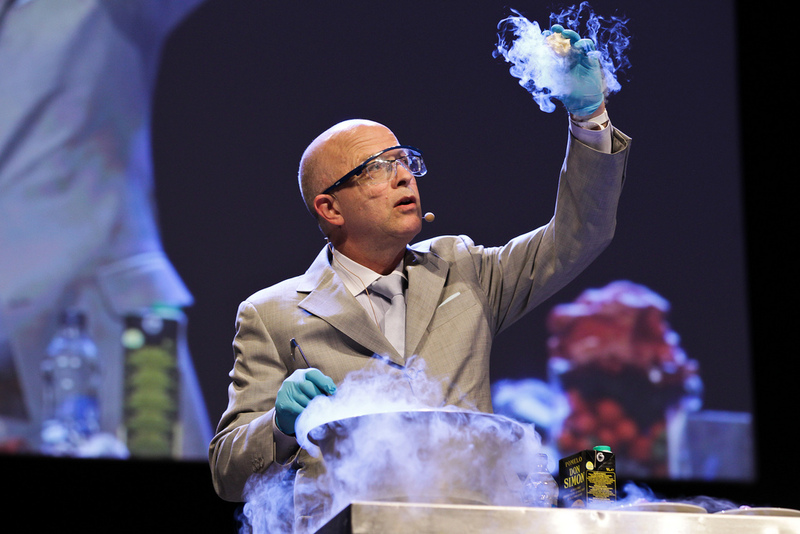 At this talk the presenters took the novel approach of preparing there experiments in real time, with blue smoke rising from desserts and using liquid nitrogen to make crunchy pop-corn. Interestingly, I learned that food tastes different if it is cut with really sharp knifes. Japanese chefs use ceramic ones, as the food simply tastes different depending how the flesh is cut and bruised. The speaker spoke of this new intellectual pursuit and the names that were been created for these dishes, one being – ‘The idea of an Oyster’. This new type of cuisine juxtaposes reality, with food that looks like an egg but tastes like acid, or an experiment of cooking foie gras in a dishwasher. Leading us to believe that we need more chemistry than ever in food. Is this really the future of food? Should this ‘new’ food have an old appearance, should these new paintings rely on an old story? Should food delight or nourish? And will these esoteric pursuits really help us solve the problem of what nine billion people will eat in the future? China has 7% of the world’s drinking water, yet it has 20% of the world’s population. It was noted flippantly, that ‘the Chinese want to eat steak now as well’. Provision of safe drinking water is now a security issue with biodiversity problems and the threat of pharmaceuticals in the water. There are also many human hormone pollutants dissolved – thyroid, oestrogen and cortisol to name a few. As one of the scientists noted, all the stuff that we’re pooping and peeing into the water is returning requiring even greater purification treatment. The effect of climate change was discussed with flooding of industrial areas a major problem, washing toxins and chemicals back into the ground water. The scientist noted that the health damage from water was thoroughly under estimated. 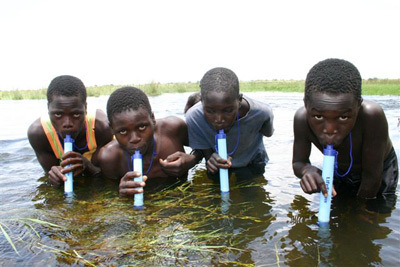 A novel product of a Nano straw was presented, allowing people drink directly from contaminated waters with the Nano straw containing a filtration system to remove impurities. This is also a high-risk solution, as who is responsible for diseases if the Nano straws stop working. It was pointed out that living beside the cost was healthier but it is also the most dangerous place considering climate change. Luica Prista from the EU commission spoke about the Water Horizon 2020 programme, which would be led by policy and public public partnership. The vision document is ‘ Achieving sustainable water systems for a sustainable environment in Europe and abroad. Next year the EU presidency will be in Ireland, taking with it the challenges of continuing this joint programming initiative. There is a false dichotomy in education that a student should choose either the pursuit of art or science. As an architect, I made the choice to go right down the middle, as for me both sides of the brain explored the mysteries of the universe and architecture was the main option to pursue this renaissance type education. The premise for du Santoy’s talk was based on that through out time artists have been influenced by the structures of mathematics. His first example to support this was the composer Olivier Messiaen who used the prime numbers 17 and 29 to give a sense of unease in his piece – ‘ The end of time’. There are also species in nature that use this structure reproducing in cycles of 13 and 17 years to avoid their predators. Artists also use the Fibonacci series to mimic the growth patterns in nature. Architects reflect the proportions of nature using the golden ratio to give a natural sense of growth in a building. 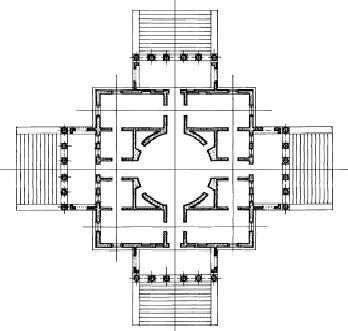 This ratio also gives a sense of beauty, with Palladio’s villas using whole number ratios in symmetry and le Corbusier using asymmetrical proportions. 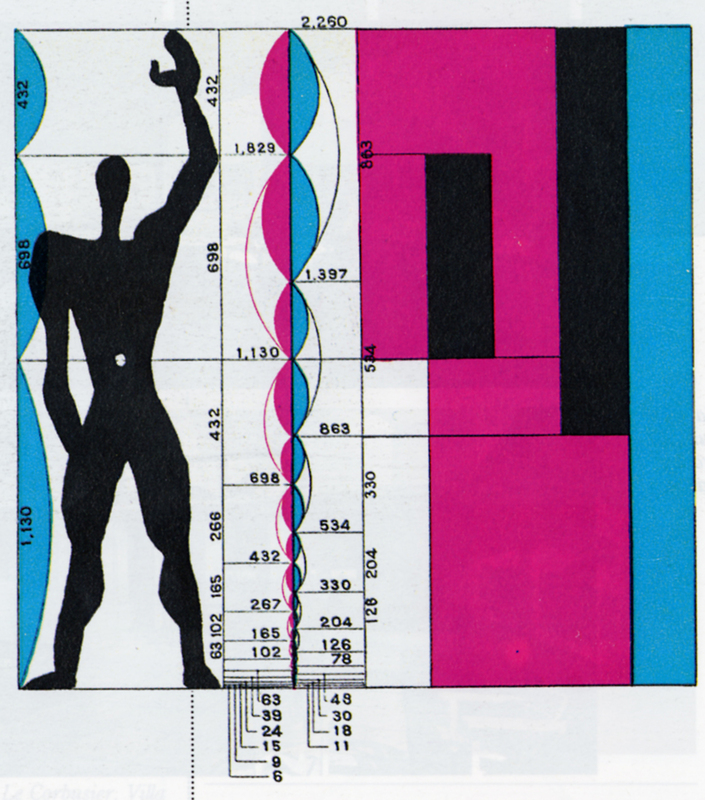 Salvador Dali was interested in new spaces, shapes and fractals with Jackson Pollack also containing this fractal character. 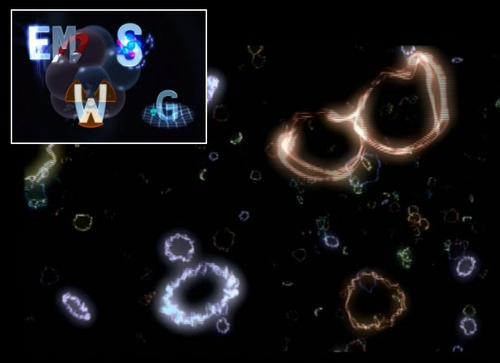 At the same time scientists were exploring the fourth dimension transcending a 3d universe. The writer Luis Jorge Borges explored the ideas of the infinite, paradoxes and the shapes of the universe. His library of Babel was shaped like a beehive.The Chorographer Rudolf Laban shapes in motion with dance movements travelling along an invisible network of paths. I was left wondering what students should be pursuing if interested in both the arts and sciences? Are there new courses and careers evolving as our society and methods of communication are changing. Are career councillors best positioned to advise on the trends in the future or will we continue to produce industrial age professionals? 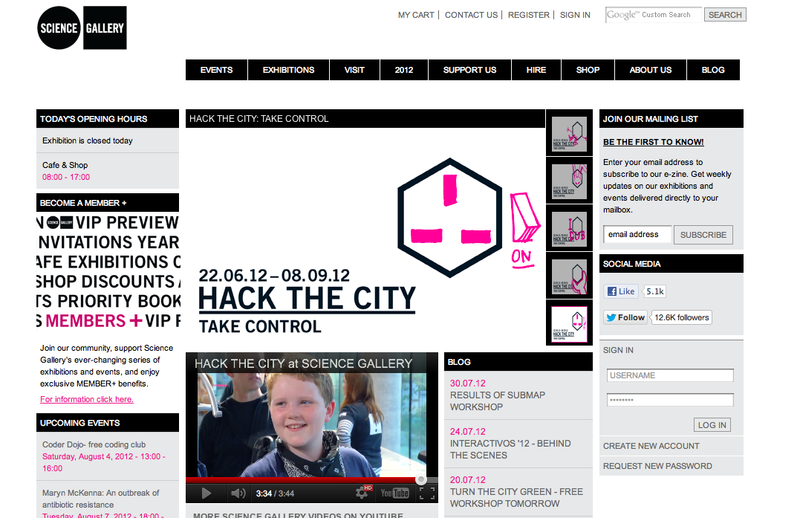 Talk 6 – 12.07.12 – What are the important Criteria for successful Open Innovation? Rick Wielans opened up the discussion by saying that you need to train to perform open innovation; you can’t just pick up the trombone and start playing.Interesting statistics in relation to nation innovation, China has had 203,000 patent application last year with the most patents been applied for by Huawei, a telecommunications company. Wielans recommended a book ‘the mesh’ by Lisa Garsley that explores meshing new business models together for open innovation. 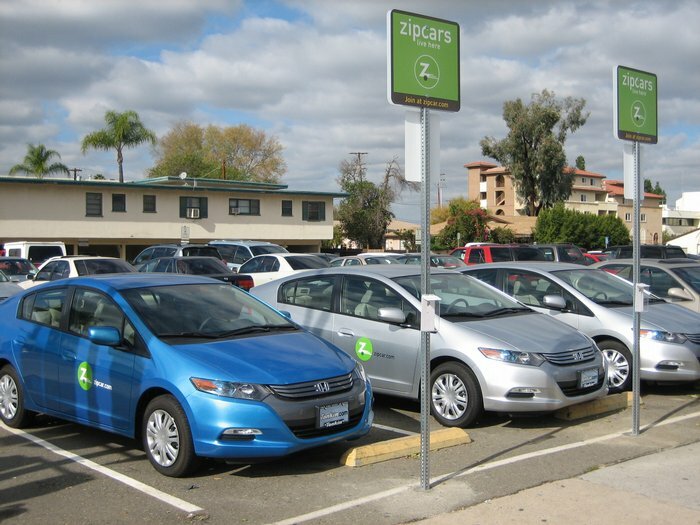 Some example were the ‘Zip’ car rental system for convenient pick up and drop off and the latest innovation, the ‘Whip’ which is a car sharing system using existing cars. Organisations are not designed for innovation. It threatens the predictability and certainty of cash flows by changing the business model formula. Nord-star presented a project, which is collaboration with insurance companies to model the unstable weather conditions, flooding and erosion. An online tool is being developed which homeowners, companies and municipalities can make use of in order to secure homes and plan for future building sites. In conclusion, it was debated if open innovation was just R&D on the cheap, often companies see universities as suppliers of information and research rather than partners, with the smiling crocodile of American companies noted. Leaving it unclear if open innovation and competition can work together. The speakers agreed that communication was only ‘open’ at a certain point of the development process and companies needed to construct their competitive advantage and value chain around around this sequence. My interest in attending this conference was purely based on curiosity. As an architect, I would consider my self a sort of art-scientist, interested in the fundamental questions of the universe, but also the practical and provocative applications of those insights. This four day conference allowed me to immerse myself in the diverse topics of quantum physics, digital innovation, molecular cuisine, secret mathematicians, innovation policy, fracking, string theory of the universe, Higgs particles, water challenges, the pharmaceutical industry and the role of art in science. These were just a selection from hundreds of talks given by five Nobel Laureates, thirty key note speakers and multiple experts in their fields. Rolf – Dieter Heuer, Director General of Cern, Switzerland talking about ‘a deeper understanding of our universe at the large hadron collider: The world’s largest particle accelerator. Although we work and operate as individuals within our contained minds, the challenge for scientists and innovators is to use collective and systematic thought processes to make the connections between the worlds urgent problems and the challenge driven goals of science. 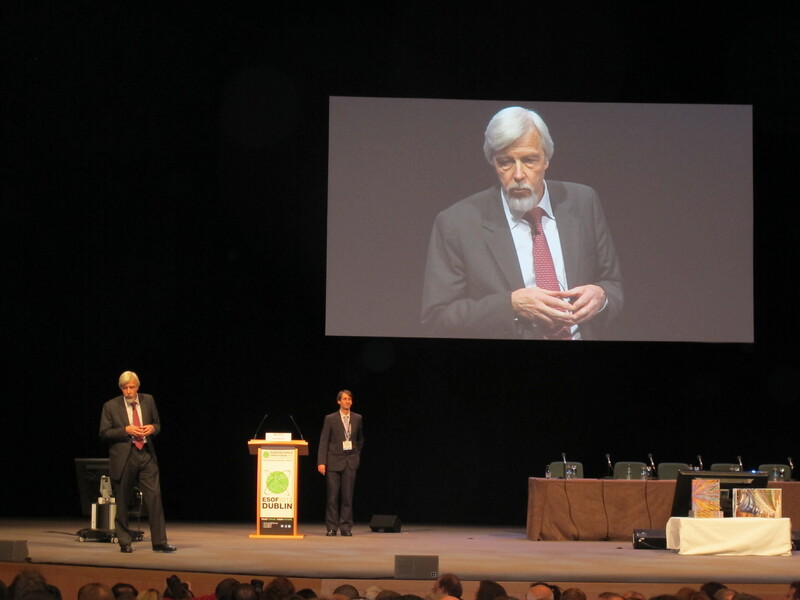 Through out the conference, speakers discussed the focus of curiosity and challenge driven research. By imaging an inconceivable goal, like ‘putting a man on the men’, this can drive research and discoveries into unknown territories. Given the economic challenges that Europe is experiencing, science is perceived as critical to releasing new capital from scarce resources. It is no longer considered science for discovery sack, but science for society. In pursing this knowledge, there is an ethical obligation that results of the research will have positive implications. These types of conflict were discussed at the fracking, human genomics, challenges of food supply and nuclear technology debates. Correlating the appropriate technology with the policy agenda for a nation is critical to achieving sustainability objectives. Although Mary Robinson highlighted, that there are no consequences for those that chose not to comply. It was extremely significant that Ireland hosted this event, for a nation of limited resources, but who pride themselves on resourcefulness. 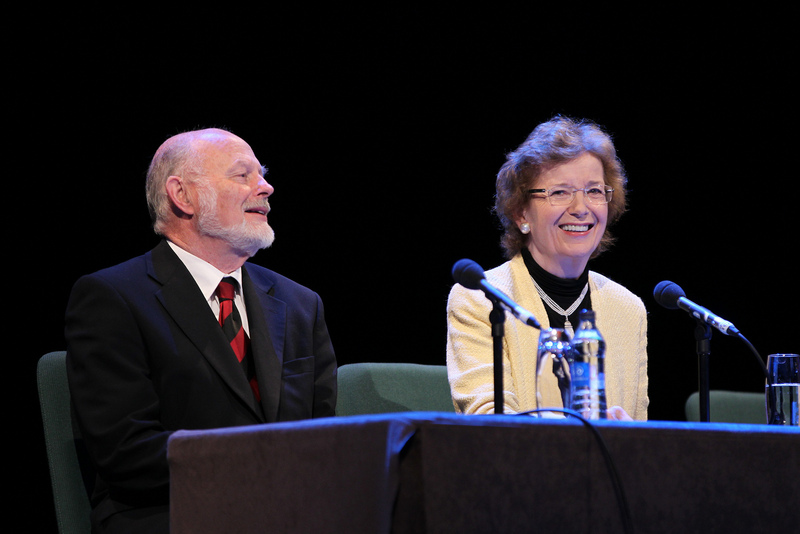 The welcome address was mc’ed by the diplomatic comedian Dara O’Brian, lifting the seriousness of the conference, suggesting all in attendance would have to produce a piece of poetry following the renditions from our President– Stardust and the Chief Scientific advisor to government – Patrick Cunningham penning his own interpretation of events. The interval entertainment was evocative and resonant, juxtaposing the traditional sounds of Irish Music with futuristic undertones. 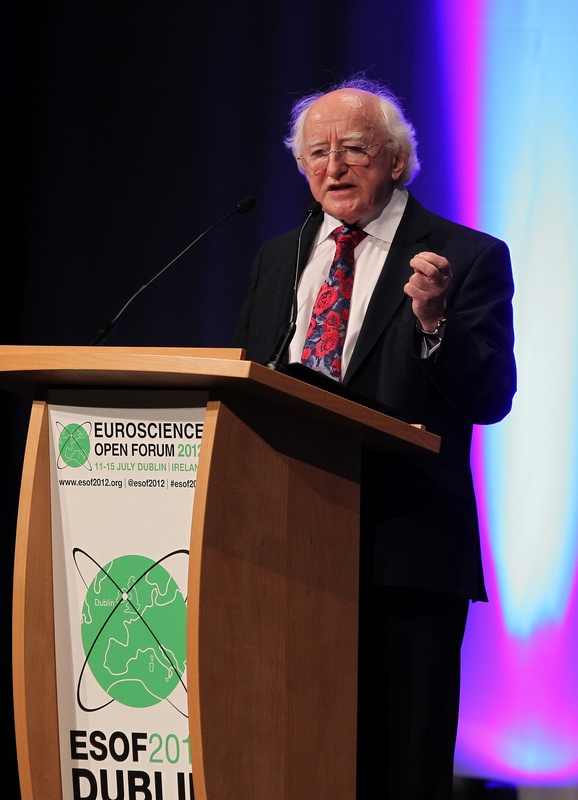 President Michael D. Higgins emphasized as he always does, the interconnectedness of science, society, creativity and business, suggesting that the current systems need to be re-invented and re-invigorated. He spoke of the serendipity in science and poetry, inspiring the analytical audience to look beyond their constraints to the stardust that we are all formed from to provide inspiration for our pivoting world. The airplane was sprayed with a disinfecting air-freshener before we landed in New Delhi. Sitting in front of us during the five-hour flight were a young scruffy New Zealand couple arriving from Thailand – stinking with unwashed hair and neglected long toenails. I wondered who was going to benefit from our superficial cleansing, thinking our travelling couple were the least of India’s worries. The airport was like any other international airport, although it seemed quite acceptable for some locals to skip the passport cue, if the appropriate nod was given. Outside the terminal, we were so lucky to be greeted by our wonderful friend Amneet, who offered to pick us up at 11:00pm and host us in her family home. We will be indebted to her for the kindness, warmth and generosity she showed to us, during our nervous transition to India. In this greeting zone, there was a hustle and heave of taxi drivers requesting us to prepay the taxi fare at a concealed hut. Our taxi joined the sea of other drivers at midnight scrambling for some road position. I tried not to feel unnerved by the tight positions our driver was squeezing in to. The roads went bumpy and dark after we left the main rivers of traffic, the outdoor fires along the road seemed strange, but were later explained by the ritual before Holi day (pronounced ‘holy’, this is a national festival where people sprinkle coloured powder on each other to break down barriers and rejoice the arrival of spring). 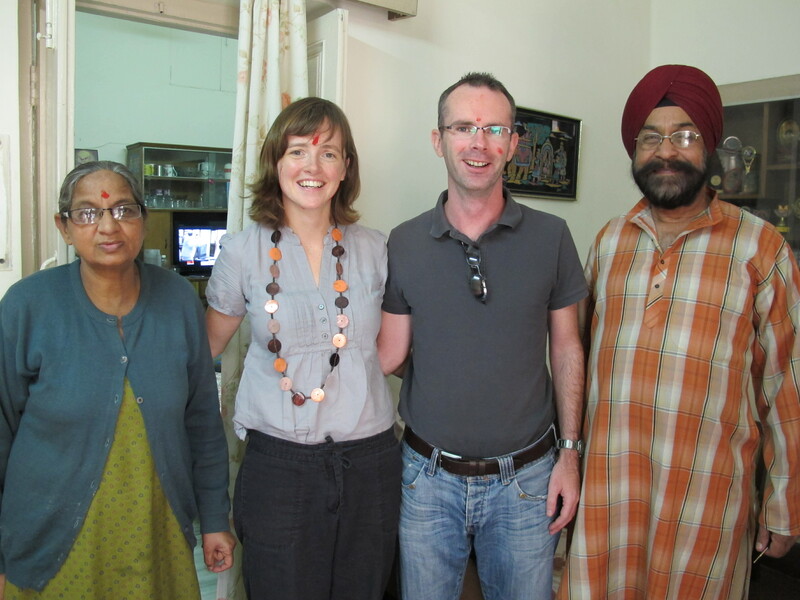 When we arrived at Amneet’s home in Old Delhi, her father and mother gave us a warm welcome, offering us chai(tea) and biscuits at 12:30am, we chatted enthusiastically for another hour, our host in no hurry to retire, graciously giving us her bed. When we finally did lie down in India at 2:00am for the first time, It felt pretty amazing to have arrived, after all the time imaging and thinking about this journey – I couldn’t believe we had actually got there. As I struggled to sleep with the excitement, I heard in the distance the chug of trains, dogs parking, but overall it was unnervingly quiet. Laughter, drums and music vibrated from the street the next morning, opening the shutter doors of the house, revealed India in the light. 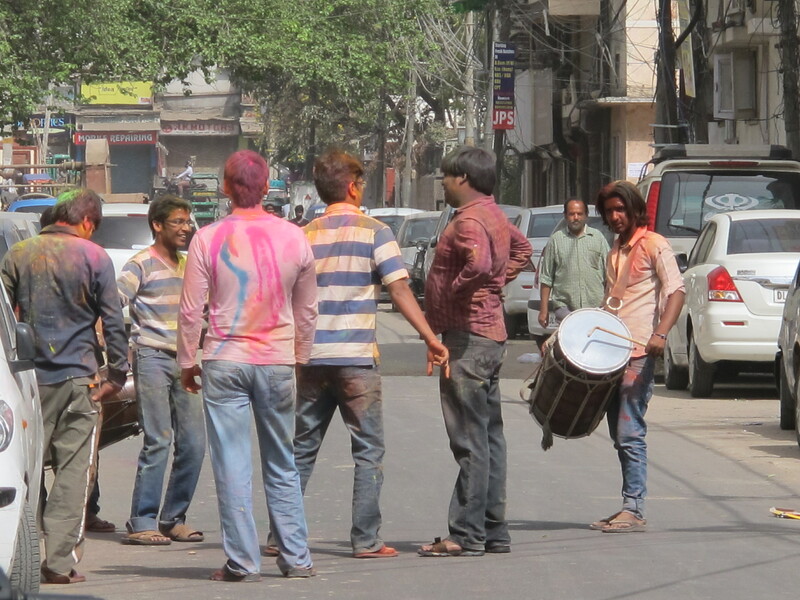 This was the Holi day Festival in all it’s joviality. Families stood on balconies, while children tried to aim at unsuspecting targets. They even managed to get a water balloon within a metre of my feet. The neighbours dusted me with some Holi paint and welcomed me to India, a lovely gesture of universal fun. Our first Indian breakfast was wonderful paratas (flat potatoe cake) yogurt and masala Chai (tea). After being sick for three days in Bangkok and nervous about this journey, it was fantastic for my appetite to return and enjoy the taste of food, especially home cooked. 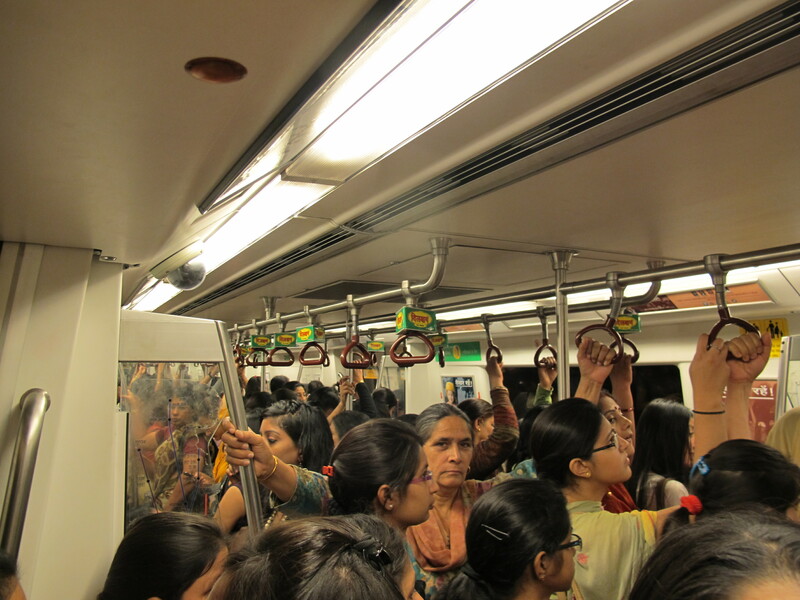 We set off on our first adventure nervously and with trepidation to the Metro to begin our explorations of Delhi. On the short car trip to the station, our heads hit the ceiling, as we bounced over potholes on the road. 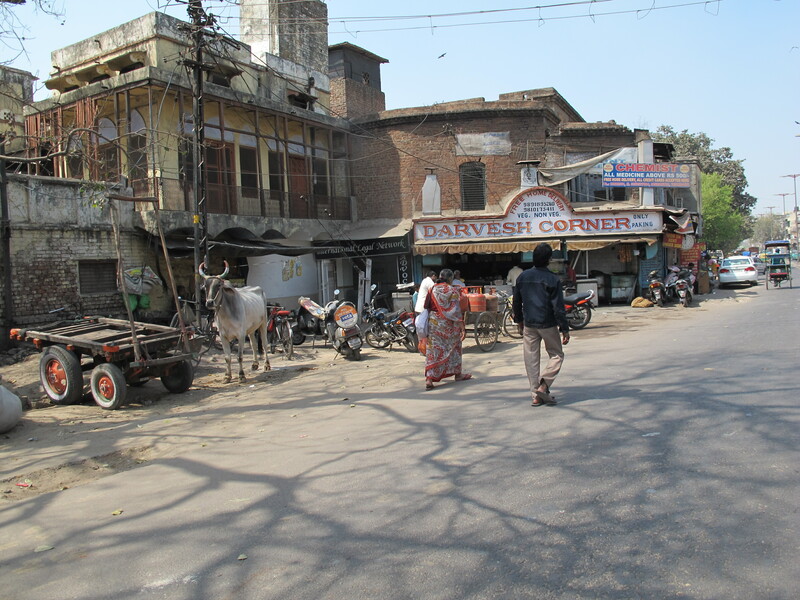 We saw cows wandering along the road, skips full of rubbish, bicycles, rickshaws, public urinals, markets, all these new sights but my senses on edge. As it was Holi day, there were very few people moving about, making Delhi and the metro stations feel exceptionally quiet. 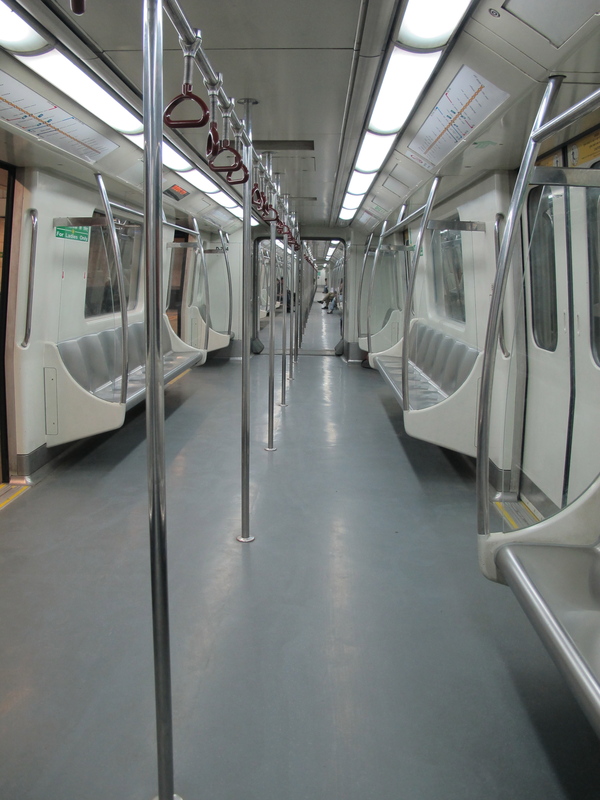 We expected the metro to be jammed with people, what awaited us was a vacuous tunnel of empty seats and poles. After a few stations, families surrounded us, all curiously looking at us because we were celebrating Holi with coloured marks streaked across our faces. A round middle-aged boxing coach wished us Happy Holi and asked where we had come from, we had a brief conversation about boxing in Ireland before the train got to the next stop. This type of impromptu conversation would never have happened in China. We exited to an almost empty train station – this was not what we expected from Delhi. As we emerged from the underworld, three men covered in iridescent coloured powder greeted us. 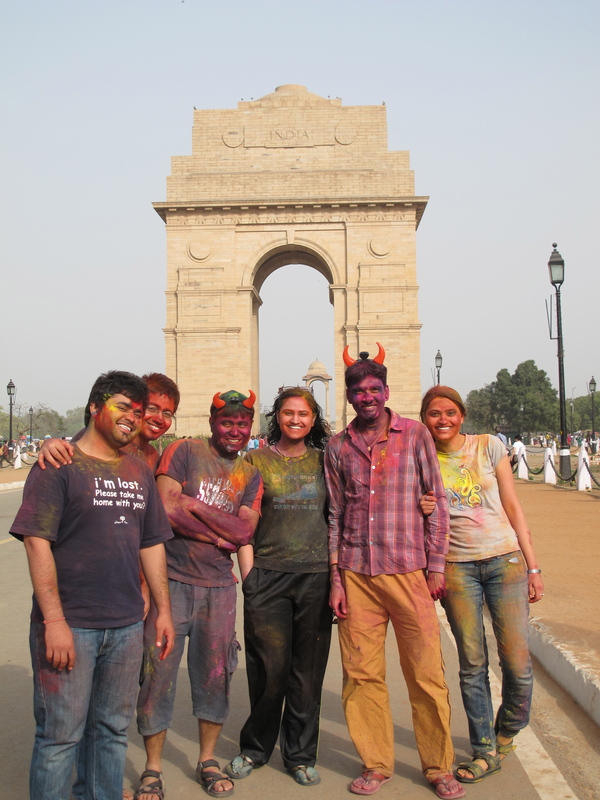 They wanted us to join them in the celebration and marked us with yellow and pink powder and gave us another warm welcome to India. Meeting these people and feeling the warmth of their spirit really put me at ease for our journey through this magical country.